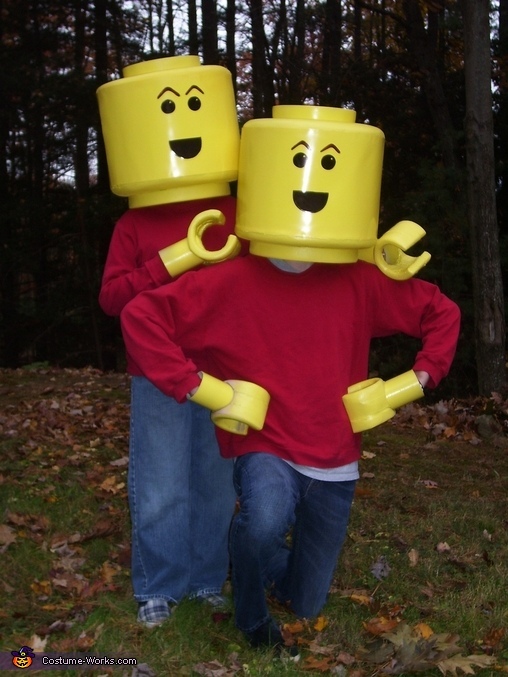 I created 2 lego mini figure costumes for my 2 sons. I used ridgid foam, poster board, yellow spray paint and liquid nail. I laminated the foam using liquid nail and then carved the foam into the lego head top and bottom, then sanded the faom, attached the poster board and then painted yellow, the hands are created from layered foam, carved and sanded and painted, the boys can see out of the lego heads mouth, it is covered by black nylons. This is amazing!!! I've been looking for something like this!!! you rock gurl! those are AWESOME!!! I am definately gonna try this, I pray it turns out as good! THANK YOU for sharing!!!!!!! !